This App WILL save you money! When it comes to saving money, we’re always looking for new and insightful things to share with our clients. 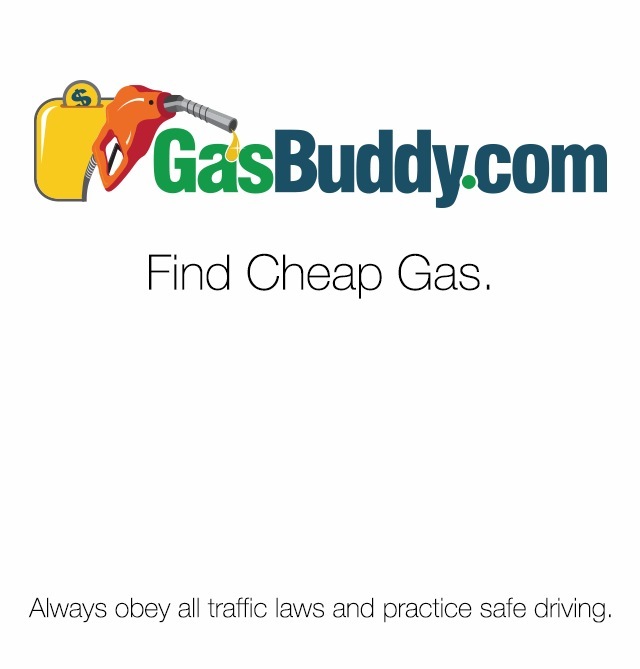 Bring in Gas Buddy; a website and App for your phone that tells you the gas prices at a specific station, in REAL TIME. So what’s so good/powerful about this tool? Keep reading. Recently you’ve probably heard the term “big data” being tossed around a lot. It’s a popular term used to describe the exponential growth and availability of data, both structured and unstructured. This is important to both businesses and individuals, as individuals in Finance already know, more data “may” lead to more accurate analyses. As far back as 2001, industry analyst Doug Laney (currently with Gartner) articulated the now mainstream definition of big data as the three Vs: volume, velocity and variety. Below is a list of what caused changes in each over the past decade or so. Volume. Many factors contributed to the increase in data volume. Transaction-based data was stored in increasing amounts through the years. Unstructured data began streaming more frequently via social media. Increasing amounts of sensor and machine-to-machine data began to be collected. All the above resulted in increased data volume. Velocity. Data is streaming in at unprecedented speed and must be dealt with in a timely manner. RFID tags, sensors and smart metering are driving the need to deal with torrents of data in near-real time. Reacting quickly enough to deal with data velocity has become a challenge for most organizations. Variety. Data today comes in all types of formats. Structured numeric data in traditional databases. Information created from line-of-business applications. Unstructured text documents, email, video, audio, stock ticker data and financial transactions all floating around the web (can someone say cat video). Managing, merging and governing different varieties of data is something many organizations still grapple with. Our CEO Jared lives about 7 miles from the Indiana boarder. 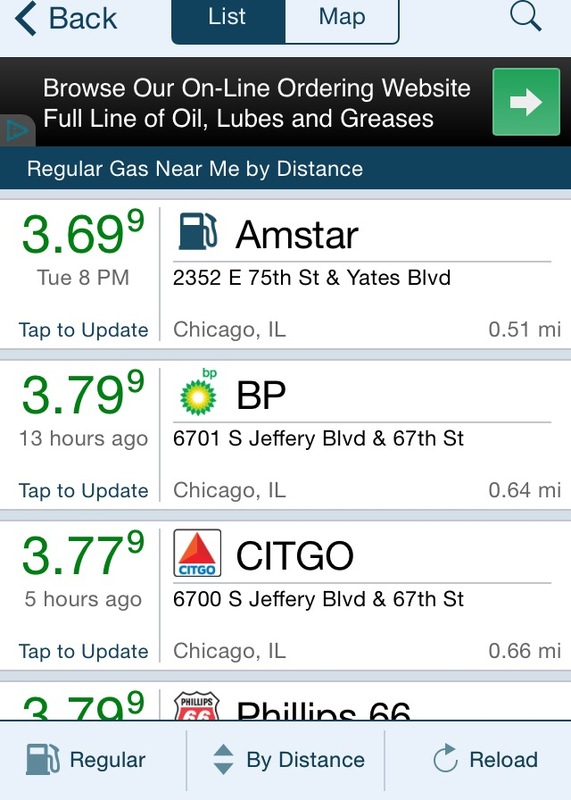 Anyone in the Chicago area knows that there is a significant difference in prices between Illinois and Indiana. Thus, for years Jared would simply go to Indiana to purchase gas “knowing” that he was saving money. How much money? That’s where Gas Buddy helped to clarify some things. Let’s take a look at a hypothetical example. We’ll try to keep it simple so as to not use too many numbers. Real time pricing at your fingertips. Let’s say that Jared has to fill up his car which holds 10 gallons of gas. He knows that the station closest to his house is charging $3.79 a gallon. So if he filled up there he would spend $37.90 for a tank of gas. Now he goes to Indiana enough to know that the prices across the border are about $0.30 cheaper per gallon. So if he buys gas for $3.49 he would spend $34.90. Thus his tank of gas cost him $3.00 less. But the real savings isn’t $3.00 because he had to drive 20 miles round trip to get the gas. Let’s say he burned 2/3 a gallon of gas to make the trip. Ignoring the cost of the gas in the tank and what he purchased, if we assume he spent $2.33 (2/3 of $3.49) on gas driving to get the cheaper gas, then his savings would “really” be $0.77 ($3.00 tank savings less the $2.33 spent to get it). Not much savings for all that driving right? Well, with Gas Buddy now Jared has visibility 1) into the prices being charged by all the stations he wants to know about and 2) when they are changing (which is key). Now Jared doesn’t have to assume that he can save $0.30 when he goes to Indiana. 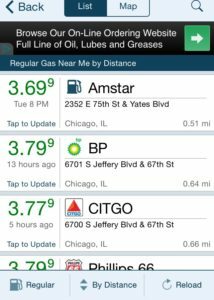 He can now compare the cheapest stations where he is currently located (you can get prices nearest you with Gas Buddy) to ALL the cheapest stations. Thus, it may turn out that the station near his house that charges $3.79 is simply overcharging for the area. There may be a station that is 2 miles from his house that only charges $3.59. This narrows the Indiana gap to only $0.10 ($3.59 vs. $3.49). This would make it unprofitable for him to go to Indiana to get gas as the savings wouldn’t outweigh the cost of getting the gas. He can also see that the station out in the burbs, where he is working on a client engagement, is charging $3.45 for a gallon of petro. This is $0.04 cheaper than Indiana! The result? Jared may just wait to get his gas when he goes to the client site in the morning and get it for cheaper than his beloved Indiana gas. So there you have it. The lesson to be learned from this? That whole “knowledge is power” adage. The more information that you have at your disposal, the more informed you are when making decisions. The more informed your decisions, the greater the probability of a more bountiful or fruitful outcome. 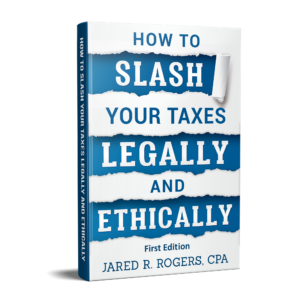 This entry was posted in Accounting Talk and tagged big data, big data defined, big data definition, gas buddy, gas buddy app, how to save on gas, how to save on gas in your car, the power of big data, what is big data on August 13, 2014 by Jared R. Rogers, CPA.